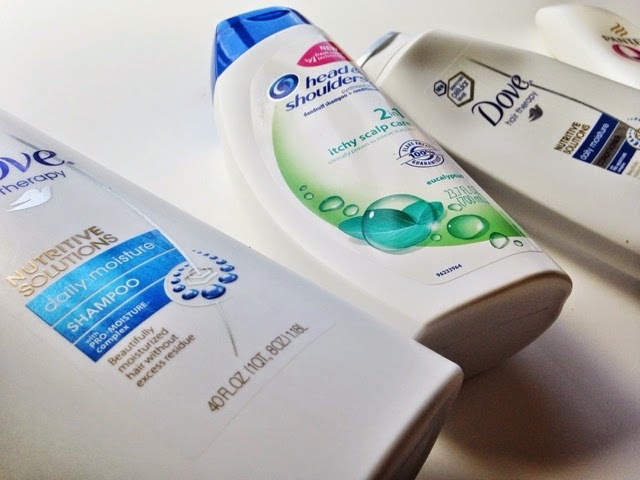 Now it may seem a bit silly to discuss shampoos & conditioners, but we all love very different brands and very different products. Why not share what I use for my mane? Every other day, I like to use the Header & Shoulders shampoo to ensure I’m dealing with either the dry or very cold climate I encounter (for the most part it’s very hot.) My scalp gets a bit cray and likes to get extremely flaky so I ensure I’m using a Head & Shoulders product on a regular basis. 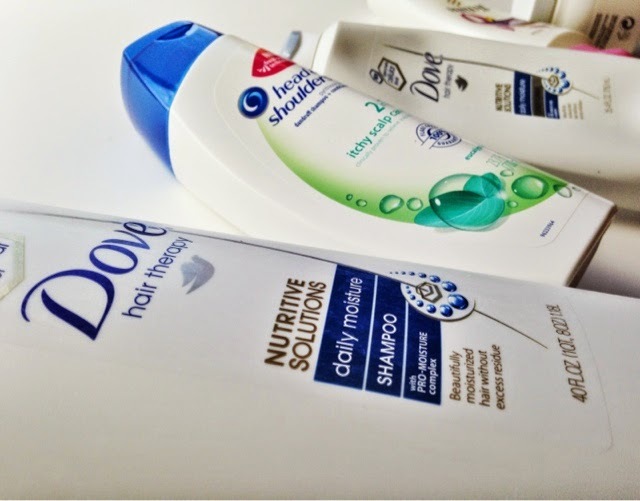 In terms of regular shampoos, I love all Dove hair care products because I find Dove to be a nurturing, light, and extremely moisturizing line. I like to get big bottles from Costco whenever possible, and I always reach for the larger sizes at Target. I use quite a bit of shampoo and conditioner so there’s no need for me to play with smaller sizes. 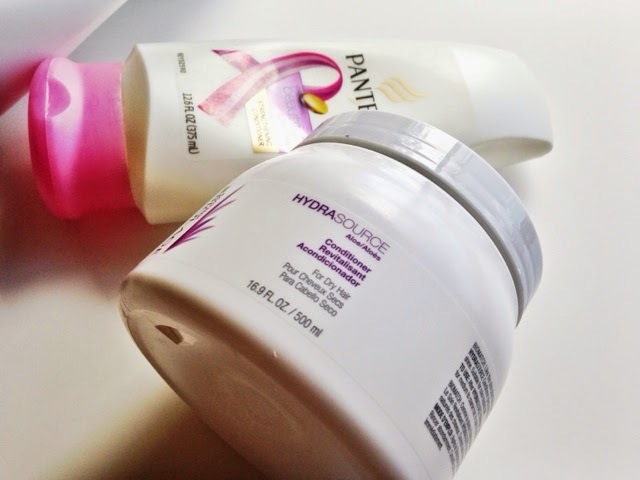 These two conditioners (Pantene & Matrix-Biolage) have really transformed my hair, and I find them both to be elixirs in their own right. The Pantene is a drugstore conditioner that gets the job done in a typical fashion, whereas the Matrix Biolage may be a bit trickier to find and just an absolutely incredible treatment for the hair. Although it’s a conditioner, it feels like a conditioning mask to me. After getting every bit of the conditioner washed out of my hair, I can feel the significant difference in softness and overall hair quality. 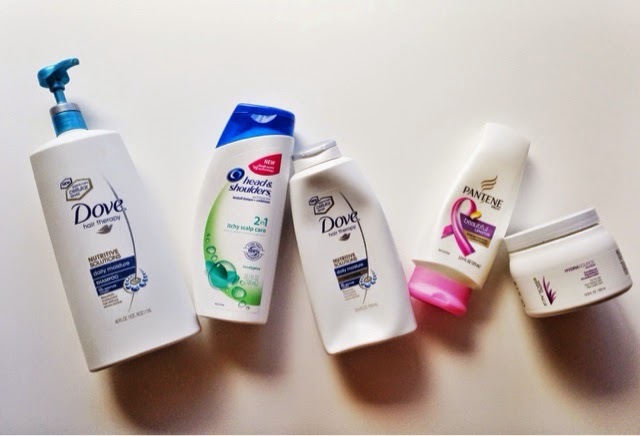 What shampoos & conditioners do you use? I would love to try some new products!